Champion Wilderness designation and protection for all suitable reaches of the Colorado River watershed, including the backcountry and Colorado River in Grand Canyon National Park. Encourage allocation free management plans for all suitable reaches of the Colorado River watershed, including the Colorado River in Grand Canyon National Park. Protect the wilderness resources of the Colorado River Watershed. Promote the highest resource protection values through Wilderness management and stewardship activities on the Colorado River watershed. Safeguard non-allocated access to the Colorado River watershed for all recreational river runners. Establish and safeguard a non-motorized Wilderness river corridor for the Colorado River through Grand Canyon National Park, including congressional wilderness designation for the backcountry and river in Grand Canyon National Park. Establish and oversee a transparently fair state of the art access model that is not based on allocated set asides for any one user group on the Colorado River in Grand Canyon National Park. Promote the highest resource protection values through stewardship activities on the Colorado River through Grand Canyon National Park, including service projects such as education of river runners, partnership with GCNP on data gathering and resource protection activities. Before founding River Runners for Wilderness in 2002, Tom founded the Grand Canyon Private Boaters Association. He volunteers for the Grand Canyon Hikers and Backpackers Association, the Grand Canyon Historical Society, and worked as a physical therapist at the Grand Canyon Clinic at the South Rim for twenty years. 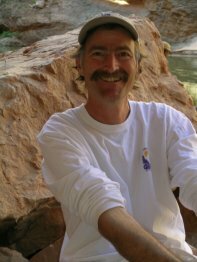 Tom authored Day Hikes from the River, the first hiking guide written for river runners in Grand Canyon National Park, and with Duwain Whitis, Guide to the Colorado River in the Grand Canyon, Lee's Ferry to South Cove. Tom also wrote Big Water, Little Boats, and edited Otis Marston's From Powell to Power. 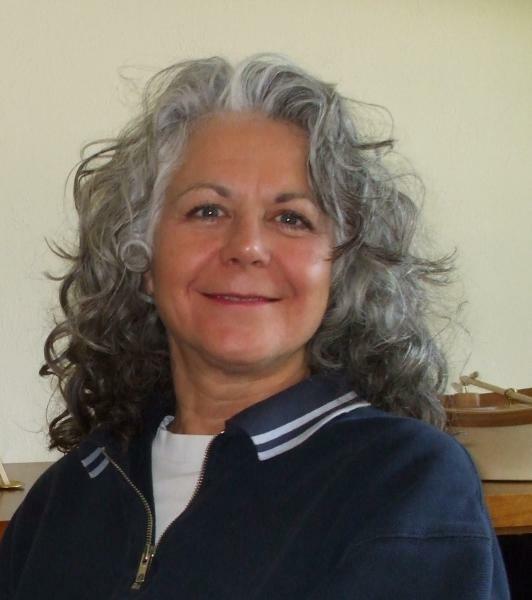 Jo served 4 years on the board of Grand Canyon Private Boaters Association as its Membership Director before helping found River Runners for Wilderness with Tom Martin in 2002. She is a database contractor living in rural Douglas County, Oregon . Her son is a float fishing guide in Alaska and is a 3rd generation river runner. Tom is a computer programmer and webmaster living in Santa Fe, New Mexico. 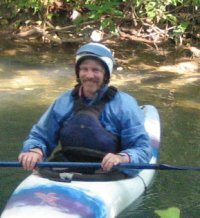 He is a kayaker, canoeist and rafter with many years of experience. His accomplishments include several first descents of rivers in the U.S. and Mexico including the Rio Moctezuma which passes through a 6,990 foot canyon. He is the author of A Gringo's Guide to Mexican Whitewater. Tom is also one of the administrators of the Mexican Whitewater Bulletin Board. Jeff was galvanized to volunteer action the first time he saw Grand Canyon by a “Bridge Canyon Damsite” label on his road map. David Brower hired Jeff as the Sierra Club’s first Southwest Representative in 1965 to successfully battle the proposed Grand Canyon dams. After his first Grand Canyon river trip with Martin Litton in 1966, he began working on Grand Canyon wilderness and protection issues, and was the first to suggest human waste carryout in a 1968 NPS concessions meeting. After a 4 year hiatus in the east, he returned to GC Wilderness/River use issues and was instrumental in the crafting and passing of the Grand Canyon Enlargement Act of 1975. John is Conservation Director of Living Rivers and has a long history of advocacy for rivers in the southwest, both from a natural history perspective and as a leader in the outdoor industry. He serves on the boards of Utah Guides and Outfitters, Colorado Plateau River Guides, Headwaters Institute and the Sierra Club Glen Canyon Group. He is co-author of Cataract Canyon: A Human and Environmental History of the Rivers in Canyonlands. Owen is Executive Director of Living Rivers. Prior to joining Living Rivers, Mr. Lammers served as executive director and vice president of International Rivers Network (IRN). During that time he led the development of IRN into the world's leading river advocacy organization.